This page gives an overview of pretty much all baits available and offers guides on how and when to use them with information on the types of fish each bait catches. It is an overview and not set in stone so you will find that you may catch other species on these baits. As with the rest of the pages if you have any advice or see anything we missed then let us know by email or add a note on the guestbook and put it as private and it will be sent to our email address only. Hook just behind the head and keep hook in the worms body, then exit once enough is on the hook. Then attatch others by hooking them just behind the head only and eixiting the other side so that the head is just attatched, this is the strongest bit of the worms skin. This makes their tails wiggle and attract fish. Flatfish, Pollack. its an excellent match bait when scratching around for fish. can be very good for bream in summer. Most sandy beaches, look for casts on top of sand, Goring, Brighton, anywhere. Cod, Pout, Pout, Dab, Bass. occasionally Plaice. Slide onto hook or use bait needle to thread onto hook. Rock pools, Rottingdean, Saltdean, Southease River. Bass, Pollack, Flounders, Wrasse. i have caught eels and flounders on them in the past. they are also very good for smoothoungs when boat fishing. Float fishing or free line for Pollack and Bass, fished on the bottom for Pollack Bass and Flounders. Bass, Cod, Eels, Smooth hound, Pout. Wrasse and smoothhound although peeler is best. 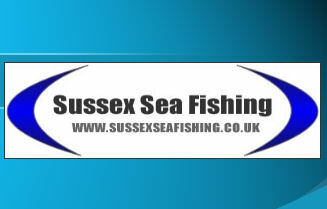 Hook through belly and fish close to walls or snags for wrasse. cast out for smoothys. Collect from groynes, piers or rockpools. can be bought from bait shops hook ready. Scrape from shell and hook through thick lip area. Attatch the rest with bait elastic. Use Mackerel caught while fishing or buy frozen from bait shop. Garfish are not sold by bait shops so use the ones you catch and are badly hooked. The good thing with garfish strips is that they are stronger so stay on the hook better, they are often used in winter months to tip a worm bait off. The same can be done with Mackerel strips. Garfish, Mackerel, Scad, Shad, Pollack, Bass. Just bits of Mackerel flesh with no skin can be deadly for Mullet and Bream. Cut a small slice and from top of the back down to under belly. no wider than 1cm. attatch to the hook by taking the top (black upper back skin) and hook through fleshy bit once so that comes out of the skin. dont have to much flesh on the strips as will not sit naturally in the water. Flatfish. excellent after stormy weather. find along the high tide line and de-shell. Can be bought in a variety of forms from local tackle shops. You can get small baby squids which I think are best. You can also buy boxes of calamari and big boat boxes. A wide range of fish. You can fish a whole baby squid on a hook or cut small strips of squid as a tip off bait fished with a work on the main hook length. Bought from most local shops. The better quality bread is often better as bait because it stays on the hook better and has more of a scent and breaks up in the water better. There are a variety of ways to fish it and for the best advice visit the fish guide section under Mullet. When fishing bread it is advised to ground bait to get them used to the flavour and scent of the bread. For a more in depth guide of how to use these baits and which fish can be targeted with them and when, see the fish or location guide sections. Any further suggestions of bait methods and uses then please email and we will update the site.